Okay, finally here is the 92-page FOIA release from MARAD dated October 10. This would be the sixth release. While there is a lot of helpful information, there is also a lot of useless garbage, which has come to be expected from the government. For an agency that claims that STORIS was not their ship and that they had nothing to do with her beyond just giving her a place to be moored, MARAD officials sure are busy withholding information through the “deliberative process” and “attorney-client privilege” redaction processes. And nowhere is Section 3502 of the Duncan Hunter NDAA of 2009 mentioned. This is the law that made STORIS’ export to Mexico for dismantling ILLEGAL. The other relevant federal law, 40 USC 548, is also nowhere to be seen anywhere in this correspondence. The sections had to be posted in pieces as I had to redact additional personal information from the documents. Pg 30-31 – Inquiry from Jessica York of Vallejo Times about the ship. Pg 34-44 – More discussion among MARAD officials including Curt Michanzyk about STORIS in response to the message I sent the morning of Oct. 28 as the ship was en route to Mexico. Pg 44 – Reference again to “interesting discussion among my staff about what appears to be a PCB-free vessel…” from Kevin Tokarski and back to Joe Pecoraro’s memo about Jeff Siragusa walking the ship. Then there is the question about William Cahil asking about whether the ship is PCB free. Pg 47 – Oct. 22 email from Joe Geldhof of STORIS Museum asking about bottom cleaning. Also an Oct 10 inquiry from Geldhof regarding what would happen to the ship if Jurisich abandoned the ship to the government. Pg 50 – reference to a June 17 Anchorage Daily News story and some possible speculative “wonder if” statement by Kevin Tokarski which has been redacted under deliberative process. Pg 66 – STORIS was mentioned at a meeting on March 12 (Denise Krepp had made a presentation at the USCG Committee Meeting) and reference to Danielle Ivory’s 12/24/13 FOIA from the NY Times. Email is from Gregory O’Brien of State Department. It is interesting that the State Department is involved. Pg 61-73 – More discussion among MARAD about towing/departure information such as the Siragusa walkthrough as above. Pg 73-78- More discussion about ship departure. Pg 79 – statement that USCG does not fall under the definition of a US citizen. Must be in relation to ownership and transfer. (Obviously ignoring Duncan Hunter Section 3502). Pg. 79 – Explanation that if the ship was never documented in the U.S. then various sections of foreign transfer regulations would not apply. I have since received additional correspondence from MARAD. This includes a fee waiver rejection, a positive partial response to a previously filed appeal that will release some of the information redacted in the information above and 181 pages of miscellaneous information that I am still reviewing. This last release marks from MARAD’s point of view, their FINAL RESPONSE, so I have less than 45 days at this point to start putting together my final official appeal to the FOIA request. As indicated as each of these releases has been posted, there are serious holes in the information released, so there will be a lot of points to discuss as that appeal process moves forward. Please take the time to read this information as it has and continues to be a lot of work to fight for this. STORIS is worth it. She should have been saved and I, along with all of you, want answers. This is the start of the documentation stream for the GSA Freedom of Information Act request, all 44 pages of it so far. This is the FOIA from Nov. 4 of last year that the agency wanted to charge me over $10K to fulfill. Based on the invoice for charges, there was a $580 duplication fee, which should translate to just under 6,000 pages of documents since the first 100 copies are free and additional pages are 10 cents a page. The balance of the threatened fees was for associated labor and review, which would essentially mean that GSA is claiming that they were/are paying someone to work the equivalent of two full months of 40-hour weeks at $29/hr to review the materials I requested. It seems rather fishy that there would be that much documentation generated or that it would require that much work to review. Hmm, it couldn’t be a punitive fee to discourage pursuit of the information, could it? And all we have so far is a paltry 44 pages. I suspect that the GSA documentation will be critical, but I also suspect that they will be dishonest and stingy with what is actually released, all in the interests of keeping secrets and covering for the bureaucratic apathy and incompetence endemic within the federal government. As a review, the worksheet/invoice is here: http://goo.gl/2z9yM2. The GSA later claimed to waive the fees assessed to me when the agency received a similar FOIA request from Danielle Ivory of the NY Times. The request has been reclassified as a media FOIA at this point and Ms. Ivory now has control of the request and its fulfillment. Apparently the information will continue to be released in segments, as agreed upon by GSA and the NYT writer. I spoke at length with Ms. Ivory about STORIS on two occasions late last year and I have continued to send her updates. Hopefully, the details will merit some kind of story. These issues with the GSA FOIA are discussed in previous posts. The context & submitted documents on Feb 3, 2014, the invoice for $10,266 – March 8, 2014, and the waiver of fees granted for FOIA because of a media request – April 2, 2014. While the majority of the correspondence with GSA was handled by telephone by Jim Loback of the STORIS Museum, it is hardly believable that there are no GSA records or notes to be found related to any communications with STORIS Museum or any internal discussion to abandon efforts to preserve the ship. There were, indeed, internal decisions made within GSA to get rid of the ship without concern for her preservation, some of which are alluded to in the released 44 pages of documents. Common sense and known facts from our end would indicate that GSA is being dishonest. There is no surprise there. Despite a clear requirement in the bidding criteria for the ship for a Certificate of Financial Responsibility, GSA also claims that it does not have any documentation related to COFR requirements, instead forwarding the request to the Coast Guard. 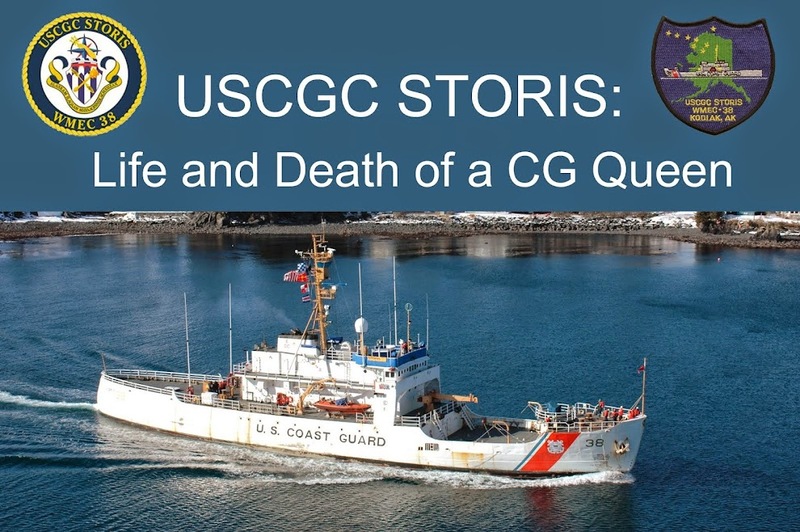 It’s been pointed out several times already how helpful and forthcoming the Coast Guard has been in providing information related to STORIS and her excessing and disposal (sarcasm). We are still awaiting information from the original Coast Guard request as well as approval for release of information referred to the Coast Guard by MARAD. The documents released on September 30 largely consist of correspondence between property disposal manager Heather Bischoff of GSA and Jeff Beach, a civilian excess property manager at Coast Guard HQ. The correspondence (correctly) reflects a strong belief within the Coast Guard and GSA that no other state or federal agency would be interested in taking the ship through the GSA disposal process. This correspondence also involves Dr. Daniel Koski-Karell of the Environmental Management Division at CG HQ. Dr. Koski-Karell is no stranger to maritime heritage or the National Register with his professional accomplishments. His father was also a Navy veteran who served as the assistant director of construction programs for the Pacific Coast, including Alaska and he was also a Michigan native, as well. STORIS should have been appreciated as a product of Toledo and as an Alaskan legend. Dr. Koski-Karell was our contact within the Coast Guard who handled the NR nomination for STORIS, supposedly hand carrying it through the process to the National Park Service to facilitate her listing. So much for professional consideration of the ship’s history after all the effort we put into nominating the ship for National Register listing. It’s very clear that historic preservation and saving STORIS was of no concern for the government parties involved, whether it was the Coast Guard or GSA. 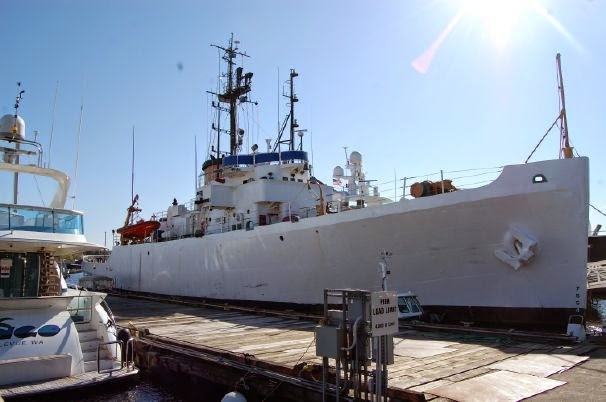 The primary consideration was getting rid of STORIS as soon as possible to allow the Coast Guard to get out from under the $50,000 in annual storage fees it was paying to store the ship among the MARAD fleet at Suisun Bay. 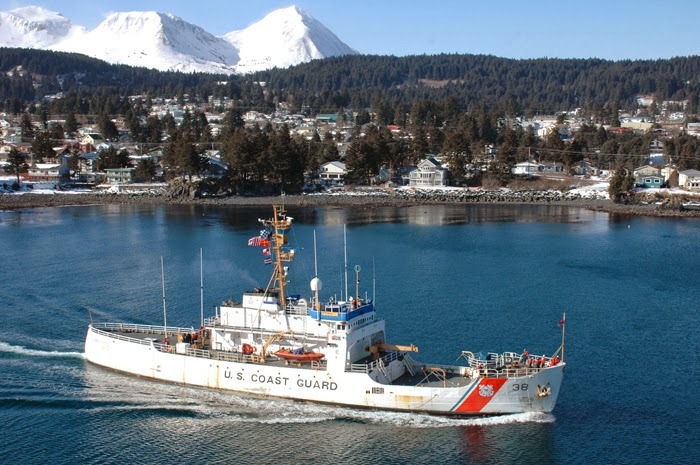 In fact, while the listing for the National Register of Historic Places is acknowledged, the GSA manager, Heather Bischoff, is elated to announce that GSA discovered the Memorandum of Agreement between the Coast Guard and the Alaska State Historic Preservation Office. The MOA discussion starts around page 17. This MOA, signed in late 2006 through the requirements of Section 106 of the National Historic Preservation Act of 1966, gave the federal government the go-ahead at that time to decommission the ship once she was extensively photographed and documented through the Historic American Engineering Record (HAER). This process was completed in 2006. Once the MOA was signed, it acknowledged that the ship could ultimately be destroyed by the decommissioning and retirement process, despite the recognition of her historic significance with a determined eligibility at that time for listing on the National Register. (The Coast Guard never undertook the nomination process.) 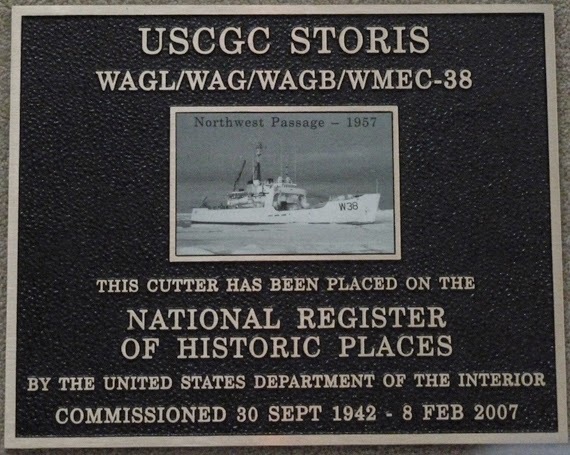 Even though STORIS was later officially recognized as nationally significant with her December 31, 2012 listing on the National Register, GSA and the Coast Guard abandoned transfer discussions with STORIS Museum, choosing instead to fall back on that 2006 MOA to facilitate and expedite the excessing and sale of the ship from federal ownership. The government did not care about the ship’s history and the MOA was their “get out of jail free card.” This is, as I suspected, the reason that GSA stopped talking with Jim Loback of the STORIS Museum. Bureaucratic apathy and laziness won out over righteous, honorable and responsible stewardship of a federally owned property of national historic significance. While it may have been legal, it was certainly not moral or ethical. The MOA is appendix D of the Environmental Assessment document to decommission STORIS and ACUSHNET. It can be viewed here: http://goo.gl/D14Y7e. The tremendous waste of a noble, magnificent and nationally significant historic ship aside, it is outrageous that the Coast Guard spent upwards of $300,000 to maintain STORIS on donation hold for six years at Suisun Bay, only to dump her (illegally) ASAP through GSA for $70,100 to U.S. Metals Recovery, the so-called “metals recycling firm” listed in California as a used car dealer. Coast Guard and GSA officials knew there were TWO viable nonprofits that wanted the ship after the Coast Guard had been directed to keep the ship on donation hold for all those years. No one in the federal government can argue that the sale of the ship under those circumstances effectively and responsibly recouped the government’s expenditures or honored the intention of preserving the ship following her decommissioning. Yes, the money stayed within the government, being transferred between the Coast Guard and MARAD, but that was still taxpayer money being shifted and wasted. The economic and cultural loss of STORIS as a museum ship and training vessel is beyond measure thanks to these bureaucrats. It is important to remember that GSA should never have been involved with the disposal of STORIS (or ACUSHNET or the original MACKINAW) as all three ships displace more than 1,500 tons. Federal law (40 USC 548) mandates that ships exceeding 1,500 tons must be disposed of through the U.S. Maritime Administration. Another key federal regulation that the government violated with the STORIS excessing was Section 3502 of the Duncan Hunter National Defense Authorization Act of 2009. This requires that all former U.S. government ships are to be recycled domestically in the U.S. In reviewing the GSA correspondence, it appears that GSA utilizes an electronic database system to list excess property. It would appear that the requirements of the Duncan Hunter provision are not part of the “drop-down” menu system that forms the listing of properties and were therefore never considered because it wasn’t part of the pre-formatted computer layout. This scenario demonstrates and reinforces GSA’s apathy and incompetence (with Coast Guard officials in major supporting roles) in that the officials seem to have been paralyzed when they couldn’t get the computer to accept what they were entering into the system. It speaks volumes when there is no distinction between an old filing cabinet and a nationally significant historic ship based on what the computer system will or won’t accept. Just because the computer didn’t recognize the Duncan Hunter provision doesn’t excuse these bureaucrats from violating federal law, however. Pg 38 starts discussion about excessing 55-foot aids to navigation boats from the Coast Guard inventory. Jeff Beach makes a comment about listing STORIS, “all 230 feet of her.” So he acknowledges her size is substantial in relation to the other vessels to be excessed. Seriously, if this is the quality and quantity of information that is going to come out of GSA, there are some serious questions that need to be pressed on them. For the $10,266 they wanted to charge me, I would have expected to see documents revealing the truth behind JFK’s assassination and a copy of Barack Obama’s real birth certificate. So far, this is nothing but the same message stream repeated several times. It’s also taken 11 months to get just 44 pages of materials. This, again, from the “most transparent government in U.S. history,” a government that is wholly content with destroying STORIS, a major contributor to that very history. The National Maritime Heritage Alliance is stepping up to write letters of support for the STORIS Act as well. Here is a story that has run on the Council of American Maritime Museum's site. The maritime heritage funding is important and it's unfortunate that MARAD is hoarding the funding that should be going to our nation's maritime museums. It's also very important to express our position on how STORIS was allowed to be destroyed. WE HAVE TO SPEAK UP AND BE HEARD. I am still working through the GSA release from last week so I can post it. I just received another 92 pages from MARAD yesterday. In it, there is more information that demonstrates the numbing incompetence of the federal government, including a comment from the historic preservation officer from MARAD stating disappointment about STORIS not becoming a museum. Her feelings pale in comparison to STORIS Museum supporters. The MARAD documents will take some time to review and prepare for posting, as they left a lot of personal information in the documents that will have to be redacted out before I post. Stay tuned and please, while you are waiting for the GSA and MARAD materials, take the time to put together a letter of support for the STORIS Act by writing any legislator on the links posted September 25 who might represent the district in which you live. It is my understanding that MARAD is pushing back against the proposed (S)hips (TO) be (R)ecycled (I)n the (S)tates (STORIS) Act. The agency has sent out a several page letter to refute the need for such legislation. Once again, it is important to realize that opportunities to speak up about STORIS will be few and far between at this point. STORIS and her fate can and will be easily overlooked and forgotten in current event issues like the fight against Islamic terrorists, Ebola, illegal immigration, and midterm elections. I am hoping that people are taking the time to reach out to the legislators on the various committees linked on the post of September 25. So far, only six people have clicked on the link to the letter template provided. That is not encouraging. In the interests of generating support for this legislation, a petition has been assembled. The petition and comments will be electronically forwarded to legislators to support the STORIS Act and encourage dialogue related to the sorry situation that led to the destruction of the ship. Comments related to signatory connections to STORIS, the Coast Guard and personal feelings about the illegal excessing/destruction of the ship can be added during the signing process. Duncan Hunter, the namesake of the National Defense Authorization Act language that should have made STORIS’ export illegal, is on the House T&I Committee. I think everyone should reach out to his office on behalf of STORIS. Throw them a line, break the ice and rock the boat. First of all, I want to thank everyone for the outstanding response to the post regarding the (S)hips (TO) be (R)ecycled (I)n the (S)tates Act (STORIS Act). This is a chance to speak up and be heard as far as our shared disgust for what happened to STORIS. I also have some news in that just after 11 p.m. EDT, I was copied on an email from GSA to Danielle Ivory of the NY Times. It will be 11 months Saturday that I made the FOIA request. This marks the first release of any information from GSA related to STORIS. The documents will be posted soon after they can be reviewed and some interpretation can be written up. As indicated, support for the STORIS Act and pressure on the legislators on the various listed committees in the post of September 25 would be greatly appreciated. It is an extremely difficult task for one or two people to take on. Over 7,500 people have seen the post about the STORIS Act. Though the ship has been lost, there has been a lot of continued effort invested in these past few months in trying to find truth and some sense of justice for what was allowed to happen to STORIS. While I am still waiting for major documents to be released by the government, this is a big opportunity to speak up and speak out. A template for a letter to the legislators is located here: http://goo.gl/pq52dl. Personalize it to suit your own specific perspective, experience and feelings. It is a Word document and can be copy/pasted into Web forms or edited to personalize it and then postal mailed, etc. 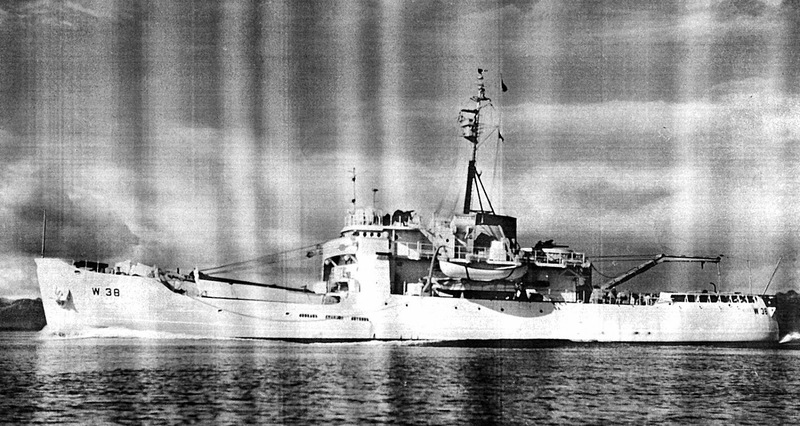 On 30 September 1942, STORIS was officially commissioned as a cutter of the U.S. Coast Guard. She had been laid down in 1941 at the Toledo Shipbuilding Company, her design and early service life influenced by the Second World War that was raging in Europe and across the Pacific. Who could have known that this new ship would go on to become one of the most historic and accomplished cutters ever to serve the Coast Guard? STORIS’ military service career of over 64 years in active, front-line service is exceptional. She was the very last of the ships that served on the Greenland Patrol of World War II and she was the last cutter to have participated in the official Bering Sea Patrol of the Alaskan Territory. She was the flagship of the historic Summer 1957 mission to chart a deep-draft route through the Northwest Passage and Canadian Arctic and when she reached the waters near Greenland that she patrolled during WWII, she became the first American vessel to circumnavigate North America. STORIS was Queen of the Coast Guard fleet from 1991 to 2007 and wore her gold numbers with pride. Listed on the National Register of Historic Places 31 December 2012, STORIS was historically significant at a national level. Instead of supporting the preservation of this great ship, the government allowed her to be destroyed. We deserve to know who was responsible, how this was allowed to happen and why. Photo: STORIS underway on the Maumee River in Toledo. Again, the white-out redaction is in play for Exemption 5 of the FOIA rules, the so-called “Deliberative Privilege” as well as “Attorney-Client Privilege.” These discussions they are hiding go right to the core of what we are looking for in seeking answers as to the who, how and why STORIS was disposed of as she was. The first, their No. 4, duplicates some previously released information. The additional information revealed in this correspondence deals with discussion about whether or not STORIS was reflagged as a foreign ship prior to her export. As far as we know, she was not. The second release is interesting in that it reveals that, in early 2012, there was another group actively seeking custody of STORIS for use as a museum ship in Long Beach, to be moored near the QUEEN MARY. It was pointed out to the group by MARAD that STORIS was a USCG-owned vessel that was a custody ship of MARAD. There are references to correspondence between this new group and the Coast Guard, none of which I have seen come to me from the Coast Guard through the Freedom of Information Act Request that I sent them on November 4 of last year. It’s already clear that the Coast Guard is either intentionally hiding information or at least approaching the fulfillment of this request in a substandard fashion. This is just additional proof that the Coast Guard is holding back on what they are sharing with me. On Friday, Aug. 22, I sent a request for an update on the GSA materials that were supposed to be released on or before June 18 and I have heard nothing. As stated earlier, there will be opportunities for STORIS supporters to join in and help with this effort to find accountability from those responsible for destroying the ship. This is one opportunity. At this time last year, Congress was on vacation and of no help to us as we struggled to save STORIS. Not much help after they came back either, come to think of it… Anyway, a year later, lawmakers are again on vacation. When Congress returns, they have a full agenda of issues to deal with. The following letter to the editor implores Congress to take up legislation introduced by Senators John Cornyn and Patrick Leahy to mandate government transparency in responding federal Freedom of Information Act requests. This piece is written by Denise Rucker Krepp, former chief counsel for MARAD and now an advocate for maritime industry, transportation safety and government transparency. It outlines issues with FOIA difficulties that closely mirror those that I have been experiencing with MARAD, EPA, USCG and GSA in the efforts to find the truth about STORIS and her disrespectful, illegal sale and disposition. From our position with STO, it’s a combination of no cooperation, stonewalling and exorbitant/punitive fees to discourage efforts to seek information related to the ship and her ignoble disposition. The letter makes several excellent points, both from the perspective of this so-called “most transparent government in U.S. History” and from the angle of the U.S. government facilitating the export of American ships to foreign scrapyards. Secrecy in government is never productive or honest. Sending potentially toxic ships overseas for breaking in third-world countries is certainly less than responsible. This is particularly true since the government is also sending potential jobs away from American ship recycling companies and their workers. But how does STORIS fit in this situation since it wasn’t our intention to see her scrapped? GSA should not have been involved with the ship because she was too large, displacing more than 1,500 tons. STORIS should have been ineligible for sale anyway since we know now that she contained undocumented materials that likely contained regulated amounts of toxic/hazardous materials. The government denies it – especially the Coast Guard -- but common sense and reliable witness statements and input from experienced and honorable veterans with first-hand knowledge of STORIS and similar vessels all raise some serious questions about the truthfulness of the CG and its testing/reporting protocols. The recently acquired documents from MARAD also show that Maritime Administration officials were even questioning the designation of the ship as “free of regulated PCBs.” STORIS was in excellent physical condition and should have been donated or otherwise made available for museum use, particularly since she was listed as nationally significant on the National Register of Historic Places. The hazardous materials in question would have been moot as they would have remained encapsulated and safe aboard the ship as used as a museum. GSA and its bureaucrats crushed all the dreams we had for STORIS. Meanwhile, the U.S. Navy’s retired supercarrier USS CONSTELLATION departed last week from her long-term layup berth in Bremerton, WA, headed for Brownsville, TX, and responsible recycling. It’s a 16,000 mile tow since she won’t fit through the Panama Canal. Compared to STORIS, the CONNIE is a behemoth. The process for CONSTELLATION is a lot more transparent. But then again, it’s a lot harder to sneak around with or hide an aircraft carrier. If the government can break the rules with modest little STORIS and let her out of the country for dismantling, what’s to say they won’t try something else? U.S.-flagged merchant vessels have been streaming to the third-world beaches in India, Pakistan and Bangladesh for years, hazardous materials and all. The lack of cooperation from the government related to STORIS, while not surprising, can only breed deep suspicion of the bureaucrats and officials responsible for this situation with STORIS. If their actions were above board and proper, what are they hiding? Meanwhile, in Washington, DC, a conservative legal group is filing suit against the government, alleging that the White House is meddling in FOIA requests, stalling the release of information that might be embarrassing to the administration. Among the 12 agencies targeted in the suit are the Department of Homeland Security (to which the Coast Guard belongs) and the Department of Transportation (parent agency of MARAD). While Congress was not exactly responsive when we tried to appeal to them for help last year, I think we STORIS supporters should once again take up the pen and appeal to our legislators to support this Cornyn/Leahy legislation for the sake of finding the truth. If we don’t speak up, it’s easy to ignore us. STORIS is gone thanks to the government, but we deserve answers. 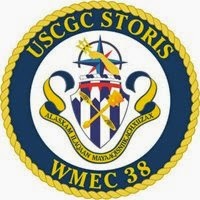 STORIS and all of her crews served the United States faithfully for over 64 years. She and all of you deserved better. We can’t let her be forgotten. We need to keep her memory alive and share our anger at what was allowed to happen to The Queen of the Fleet. There needs to be accountability. We deserve answers and the people responsible deserve consequences. I am hoping there will be other opportunities to have our voices heard and will let everyone know when those chances arise. The U.S. Maritime Administration has sent a third set of documents related to the original Nov. 4, 2013 Freedom of Information Act request. Once again, redaction has stricken key elements of information from the documents. As before, with all the agencies that have responded to this point, MARAD is using Exemption 5 for deliberative, pre-process discussion as well as attorney-client privilege. Much of this information would have direct bearing on how MARAD handled the STORIS situation and is key to gaining a full understanding of how the ship was allowed to be sold and exported. All of these points will have to be argued on appeal for the redaction and withholding of information. If these officials did nothing wrong and their decisions were sound, then why are they withholding information? The correspondence between MARAD officials regarding STORIS is also marked as “low importance,” which says a lot about their attitude about the ship and the related situation. Pg 2-3 – There is discussion among MARAD officials regarding the ship’s departure and whether or not the ship is truly free of regulated PCBs. 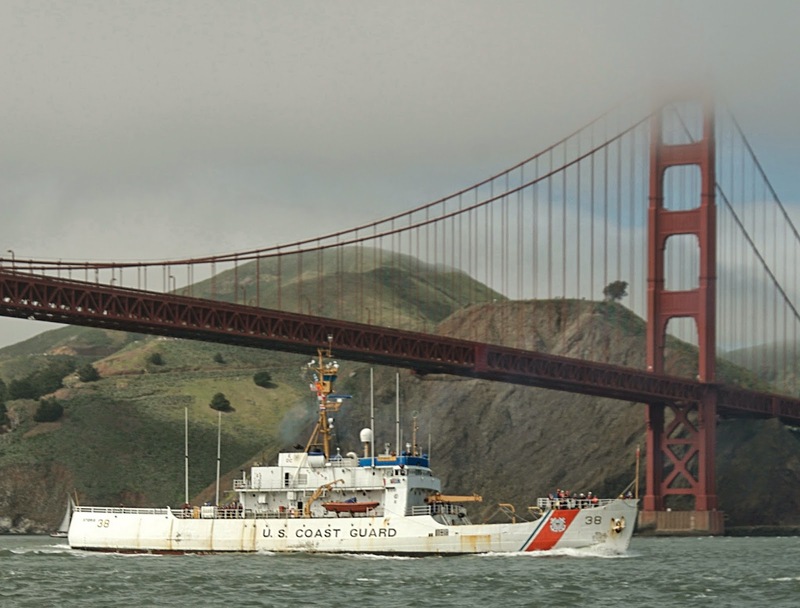 MARAD officials claim that they are not responsible for the issues related to STORIS as the ship belonged to the U.S. Coast Guard and she was merely a “custody ship” at the Suisun Bay Reserve Fleet. Therefore, it is MARAD’s position that the regulations and court-ordered procedures for issues such as hull cleaning for invasive species and removal of potential pollution did not apply to STORIS. A lot of this communication is a matter of MARAD officials covering themselves to absolve the agency and those involved from any kind of wrongdoing. The fact that MARAD officials themselves seemed to be questioning whether STORIS was actually free of regulated PCBs is important. I think they knew that the ship had to have some kind of contamination that would have been problematic for excessing and foreign dismantling. How could they not know, considering it’s their job to handle obsolete ships, many of which were of the same type of construction and vintage as STORIS? Conspicuously absent in all of this correspondence is any reference to Section 3502 of the Duncan Hunter National Defense Authorization Act of 2009 which set into federal law the requirement that U.S. government vessels have to be dismantled in U.S. ship recycling facilities. STORIS was allowed to be exported for dismantling in a substandard scrap facility in Ensenada. MARAD officials should also have recognized that it was illegal for GSA to sell STORIS at auction because her tonnage exceeded 1,500 tons. This was a violation of 40 U.S.C. 548 (http://goo.gl/uVDtHa). Whether this is part of the redacted information for deliberative or attorney-client privilege remains to be seen. Regardless, the federal government VIOLATED the very laws they were supposed to be following. As indicated in earlier posts on March 12 and May 9, Denise Rucker Krepp, former chief counsel for MARAD, has identified these violations. On page 3, there is a comment regarding Jeff Siragusa of MARAD inspecting STORIS and making note of “a lot of new wiring.” While this may be true, that there was new wiring in many locations on the ship, particularly the main control board, there was also a substantial quantity of old wiring. We know it was there based on sworn statements provided by two key members of the ship’s last crew, an EM2 and BMC. This old wiring was conveniently ignored by the Coast Guard in declaring the ship “free of regulated PCBs” and it was apparently ignored by Jeff Siragusa. The rest of the comment regarding Siragusa was redacted by MARAD as “pre-decision, deliberative process” protected. What does it say, that the wiring looked fine, posed no problem and the ship was clean? What is MARAD hiding with the redaction? Again, this gets to the very core of the information that we are seeking regarding the government’s assessment and disposal of STORIS. Last fall, I had spoken with Gary Whitney, the general manager of the Mare Island Ship Yard. He told me that he walked away from bidding on STORIS as a potential scrap project because it was readily apparent to him that there was a lot of old wiring on the ship as well as other materials that likely harbored hazardous materials. Again, when I asked him about the presence of PCBs on board STORIS, his reply was that he didn't actually test for PCBs, but he saw enough to believe they were there. He said that if the Mexicans were going to look for PCBs, they would find them. Apparently the Mexicans really weren't looking for PCBs or at least not very hard. It is interesting to note that Jeff Siragusa was vice-president and program manager at a ship recycling business known as North American Ship Recycling (NASR) located at the old Bethlehem Steel Sparrows Point (Baltimore, MD) shipyard. In 2007, NASR was targeted by a lawsuit filed by Clean Venture, an environmental remediation contractor that did not receive payment for two vessels being scrapped. Elements of the lawsuit involved accusations under federal racketeering laws. NASR seemingly disappeared in the middle of the night, leaving behind a controversy and two partially dismantled ships, the USS HOIST (ARS-40) and the USS SPHINX (ARL-24). Both ships were determined to contain hazardous materials, particularly the SPHINX, which was identified as containing waste oil, lead paint and PCBs. The Baltimore Sun also has several stories in its archives related to NASR, its creation and its disappearance. The suit was settled confidentially in late December 2007 before it made it into court. “The U.S. Maritime Administration, which oversees the fleet, said in a statement Thursday that it is ‘disappointed’ by the sudden closure. The situation couldn’t have caused too much trouble for MARAD if they turned around and hired Jeff Siragusa from the wayward firm to be a Contracting Officer Technical Representative for MARAD. His name shows up in a search of MARAD ship disposal documents from 2009-10 with a Washington, DC, phone number. Now he’s apparently in California. I wonder how other private ship scrapping firms felt to have a former competitor working for the government for the very agency from which they relied on to purchase ships or bid on contracts for shipbreaking, their very lifeblood? There is also some sarcasm related to U.S. Metals Recovery actually taking the ship from the SBRF, with a comment from William Cahill of MARAD stating “I guess they mean it this time.” So apparently, there were previous false starts and failures to move the ship to the annoyance of MARAD officials. Pages 7-26 involved internal MARAD communications in response to a message I sent MARAD’s chief counsel on Oct. 29, the Monday following STORIS’ departure from Suisun Bay. Again, it is a matter of putting together a consistent, united front to address my inquiry as well as the other inquiries that might come in from the media or Congressional officials. Pages 27-28 discuss STORIS, GLACIER and PLANETREE (but not IRIS) and their situation within the SBRF, MARAD custody and Coast Guard ownership. Two years ago, we were busy pulling together the nomination paperwork to have STORIS listed on the National Register of Historic Places. Our efforts were successful and the ship was officially recognized as nationally significant with her listing on Dec. 31, 2012. We are left to ask WHY? If you haven't already done so, please read these documents to fully understand what we have lost. We should be walking her decks and admiring fresh paint in preparation for a triumphant return to Toledo where she was born. Instead, we only have black and white on paper to remember her. And for this is why we fight. Apparently I am not the only one who is having trouble getting information from the Obama Administration. Forty-seven inspectors general submitted a letter to House and Senate Oversight Committee chairs and ranking members of Congress, warning of serious challenges coming from within the government agencies that the IGs are supposed to be monitoring. These agencies are stalling efforts to secure information from what is supposed to be "the most transparent government" in U.S. history. The Inspectors General allege that the agencies are claiming privacy issues, attorney-client privilege and other dubious exemptions to deny the release of information the IGs request in the interests of monitoring government operations and actions. The agencies are also reportedly encumbering the requests with overly burdensome administrative and bureaucratic hurdles, preventing timely responses from the Inspectors General. This fits the same modus operandi of the federal agencies that have been insolent and uncooperative with us as we look for answers with the STORIS situation. Not only that, but these agencies have essentially ignored official inquiries from Congressmen and Senators related to STORIS. The comparative handful of documents that we have received so far demonstrate a deliberate and constructive effort to create a consolidated front to deflect inquiries from Congressional leaders who have attempted to get answers from EPA, GSA, the Coast Guard and MARAD. There also seems to be an across-the-board mentality that these agencies are above reproach. I recently read stories where federal agencies told Congressional observers, including Senators and members of the House of Representatives, that they were not allowed to photograph illegal migrants at the southern border during this ongoing crisis with unaccompanied minors flooding into the country. Seriously? Federal agency bureaucrats telling lawmakers they’re not allowed to take pictures? If the Inspector Generals can’t get information from the Federal Government, what hope does the average citizen have to get answers? It is rather ironic that Sen. Tom Coburn of Oklahoma was a direct recipient of the letter since he is one of two senators -- the other being former Sen. Jim DeMint of South Carolina -- who were directly responsible for blocking the donation of STORIS to the STORIS Museum through Congressional action. And whose face pops up with the story link below? Coburn. As stated last week, another FOIA release has been received from the US Maritime Administration. The cover letter is here: http://goo.gl/0Jc2r1 and the documents are here: http://goo.gl/0hqc9f. Overall, it is safe to say that MARAD FOIA officials were too heavy with their redactions. Big surprise. There are over 100 pages in this release. However, the information as a whole is not exactly helpful and raises more questions as over 60 pages involve documents to/from the U.S. Coast Guard and these pages were redacted. An additional three pages involved GSA and those, too, were withheld. These documents have supposedly been forwarded by MARAD to the respective agencies to determine whether or not the information can be released and, if so, those agencies will release the information to me. Not very promising, considering that GSA is now 48 days late in providing the materials from the FOIA that I sent specifically to that agency nine months ago yesterday. GSA FOIA officials assured me that the information would be received on or before June 18 after they decided to waive over $10,000 in fees associated with the request. The Coast Guard has also not been cooperative, withholding information or just being deceitful in what has been provided so far. It is interesting that they withheld letters from the California State Lands Commission (pg 102-103), which likely related to the state’s interests with bottomlands conservation and invasive species safeguards. 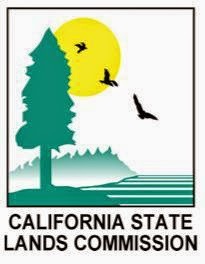 A FOIA request has been submitted to the State of California for any information the State Lands Commission may have on STORIS. As you know, she was towed directly from Suisun Bay to Ensenada without having her bottom inspected or cleaned for invasive species. Additional information is redacted because of the "deliberative process" privilege, which allows the government to withhold information based on the position that MARAD officials were discussing how they were going to handle policy and procedure. The problem is, much of the information that we need to have answered as to how and why the ship was allowed to be illegally sold and illegally exported would be part of that discussion. As pointed out in other appeals, it is the burden of the agency to explain how information withheld based on the deliberative process fits in to their decision-making process and ultimately, if the withheld information was factored into the final decision, it has to be released. An appeal will be filed including that position from our perspective. It’s also very hard for the government to argue that there is no public interest or benefit in releasing this information. I am very curious as to how the documentation in the MARAD release corresponds with what the CG has released. I suspect that there is paperwork in the MARAD release, though redacted and useless, that was not acknowledged by the CG in its FOIA response to me. On Pg 9 – there is a reference to clearance from the U.S. State Department in relation to the ship being exported. That raises some additional questions as to what the State Department had to do with STORIS’ export. I will have to pursue that further. It may have been something to do with International Traffic in Arms Regulations (ITAR) or Regional Security and Arms Transfers (RSAT) since STORIS was constructed as a military ship and was being sent out of the country. 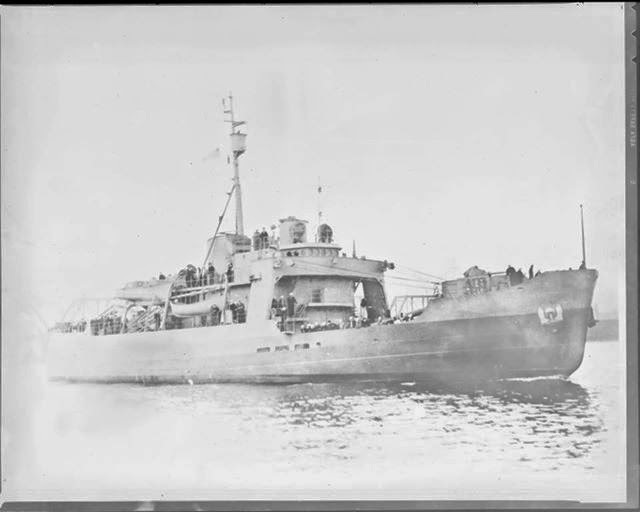 Pg 35 – There is a reference by Joe Pecoraro, the superintendent of the MARAD reserve fleet, remarking on the good condition of the ship, that she would have been a good museum ship candidate. Pg 68 - A very interesting detail from MARAD: STORIS was the anchor for the row that she was located in at Suisun Bay and her removal required extensive planning and execution. This, combined with other ships scheduled to be removed from the SBRF meant that the ship would not have been able to be moved until Aug 27. This is the first heard of that. The GSA deadline in the auction was July 12, so that conflicts greatly. If the GSA and Coast Guard wanted to get rid of STORIS so badly and so quickly, why wasn’t that worked out/coordinated with MARAD sooner so that it was understood that STORIS wasn’t going to be moved by July 12, just two weeks after the late June auction? Even so, the ship was not moved in September, then the Coast Guard’s paid rent for the ship ran out at the end of the month. Then the government shutdown went into effect. All the while, the ship’s buyer, Mark Jurisich of U.S. Metals Recovery, was making his plans to illegally export STORIS to Mexico for scrap while trying to extort $250,000 for the ship from the nonprofit STORIS Museum and Last Patrol. That was some 357% more than he paid for her through the questionable GSA auction. While these dates may explain how Jurisich got away with leaving the ship for so long in the SBRF, it does not explain how he was allowed to buy the ship in the first place, considering the undocumented hazardous materials we strongly believe were on board would have made the sale illegal through federal law. There is also the matter of the ship being illegally sold through GSA, as her tonnage exceeded that of which GSA is allowed to dispose. Instead, MARAD should have handled STORIS’ disposal. Finally, there is the matter of the government allowing STORIS’ export when, as a U.S. military vessel, Section 3502 of the Duncan Hunter National Defense Authorization Act of 2009 would have required her scrapping to be handled in the U.S. Finally, the photos of her sea chests for the blanking are sickening to see as they show what good condition her hull was in. STORIS did not deserve this.